Gangs of heavily armed elephant poachers have crossed the Central African Republic (CAR) from Sudan and are reported to be close to the southern Chad and northern Cameroon borders. Several columns of Sudanese poachers, comprising between 150 to 200 men riding on camels and horseback, have been sighted in recent weeks by villagers and by staff with Project Ecofaune, a program funded by the European Union that aims to protect CAR’s wildlife. Project staff also described the firing of 60 or so shots by poachers near Ecofaune’s base at Sangba (near Dzanga-Sangha and Boumba Bek National Parks in southwestern CAR and southeastern Cameroon respectively). No elephant carcasses have been found yet, and the shots may have been intended to intimidate staff at the camp. While the poachers’ destination may now be northern Cameroon, that may shift. Depending on the season and the threats, the elephant herds in central Africa roam between Chad, Cameroon, and the Central African Republic. 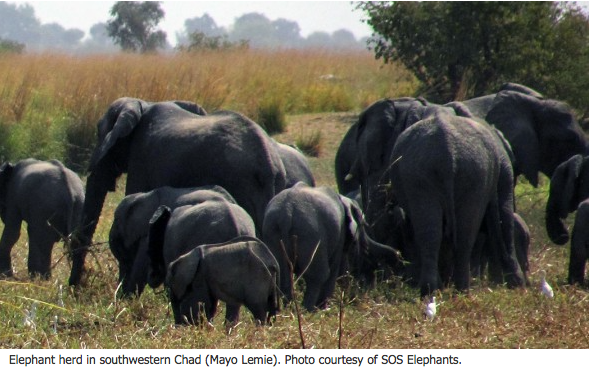 According to Stephanie Vergniault, president of SOS Elephants, a wildlife organization based in Chad, during the past few months hundreds of elephants have moved into southwestern Chad seeking refuge from heavy poaching in northern Cameroon and CAR. 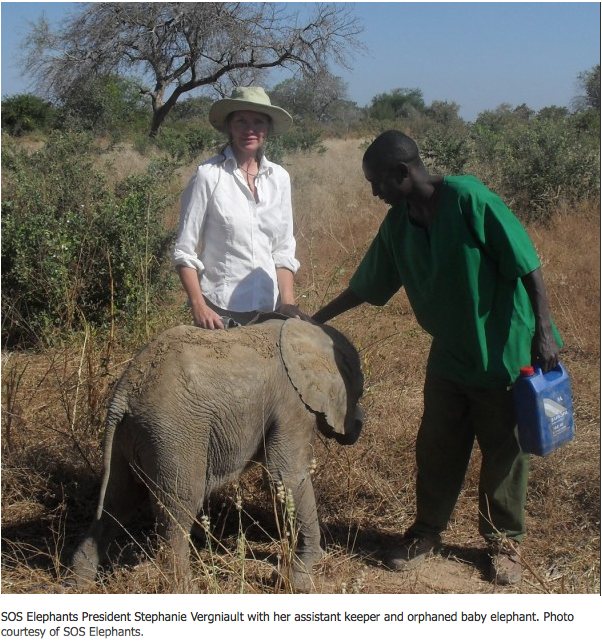 She says that the numbers near the SOS Elephants camp in Mayo Lemie increased from 300 at the start of 2012 to around 700 now. The poachers have followed a well-worn path, entering CAR from Sudan at Tinga on or around September 8. By November 22 they were seen near Ndele heading towards Bamingui-Bangoran National Park in northwestern CAR close to the border with Cameroon. To reach northern Cameroon they must first cross into Chad. Difficult rainy season conditions, including swollen rivers and marshland, are hindering travel, and they may not enter Chad for another week or two. These men are lethal. Each carries one or two individual weapons, typically AK-47s, and the group has at least six Russian shoulder-fired anti-tank grenade launchers (RPG-7s) and four Thuraya satellite phones. These men are lethal. Each carries one or two individual weapons, typically AK-47s, and the group has at least six Russian shoulder-fired anti-tank grenade launchers (RPG-7s) and four Thuraya satellite phones. In October the poachers took a young villager hostage and forced him to guide the group before releasing him a week later. Assistance is needed because the CAR government lacks the capacity to tackle this poaching threat. Currently, multiple armed rebel groups operate with impunity throughout the country, including the Lord’s Resistance Army (LRA) in eastern CAR. The LRA is a militant group headed by Joseph Kony and accused of numerous human rights abuses. A September New York Times article by Jeffrey Gettleman noted that the LRA uses ivory to finance itself and that the group was responsible for killing dozens of elephants in Garamba National Park in the Democratic Republic of Congo (DRC) this past spring. In December 2011 the United States deployed a small number of U.S. forces as advisors to CAR’s national military for pursuit of the LRA. The leaders of CAR and Chad have a close relationship, so military assistance by Chad may be welcome. In 2003, then General François Bozizé ousted President Ange-Felix Patassé, presumably with backing from Chad’s President Déby.